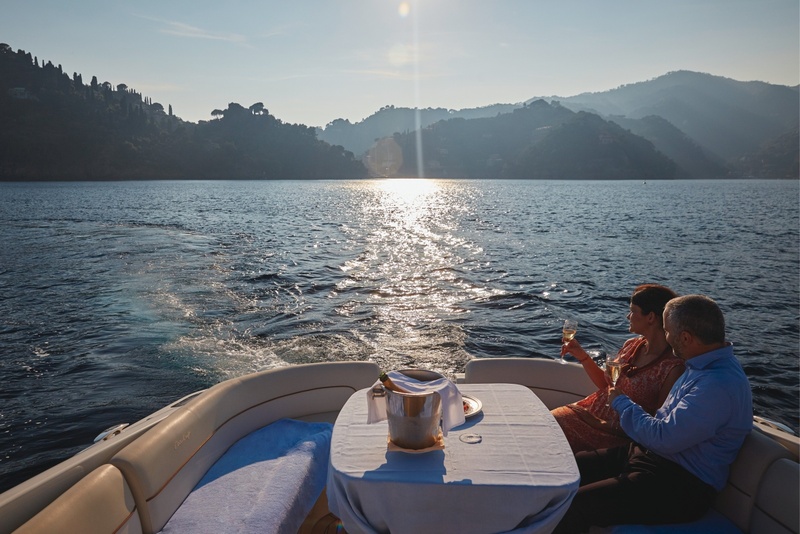 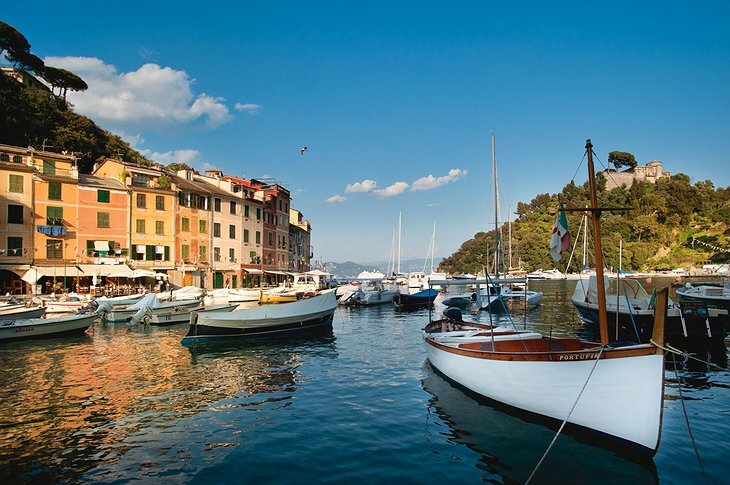 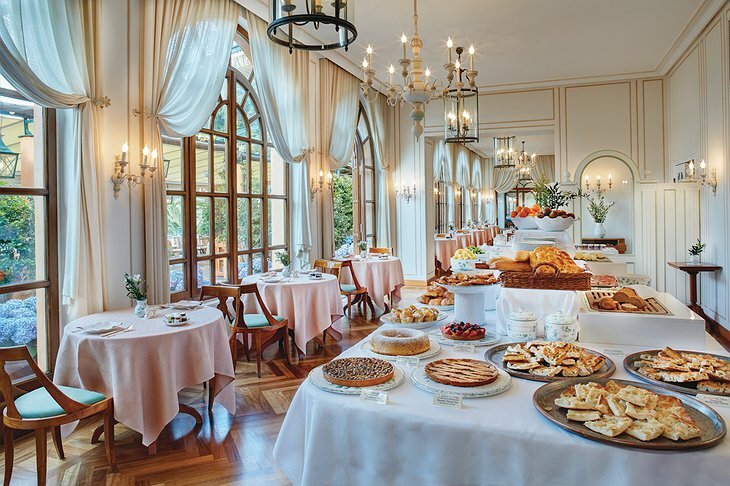 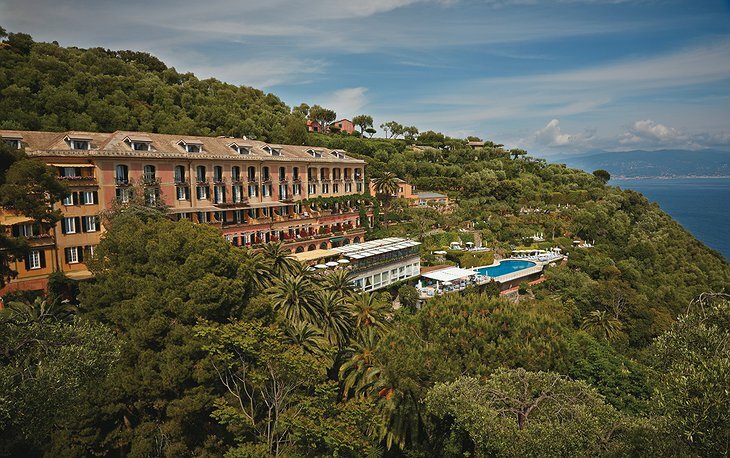 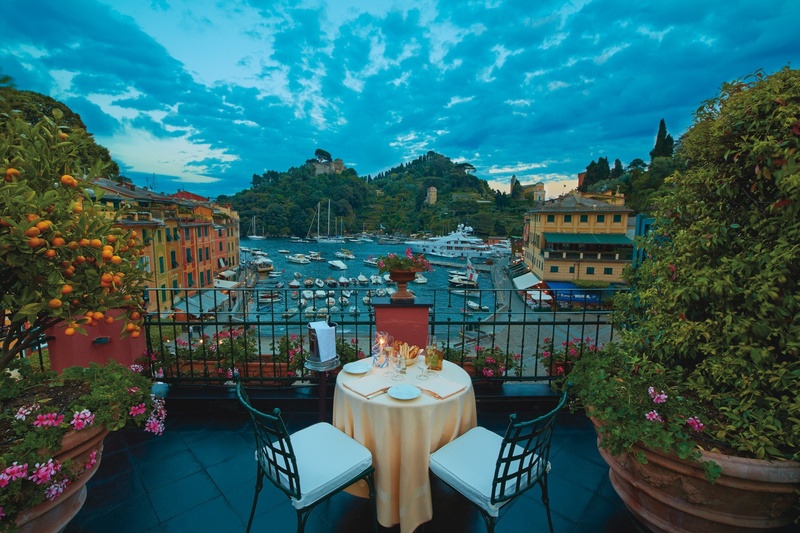 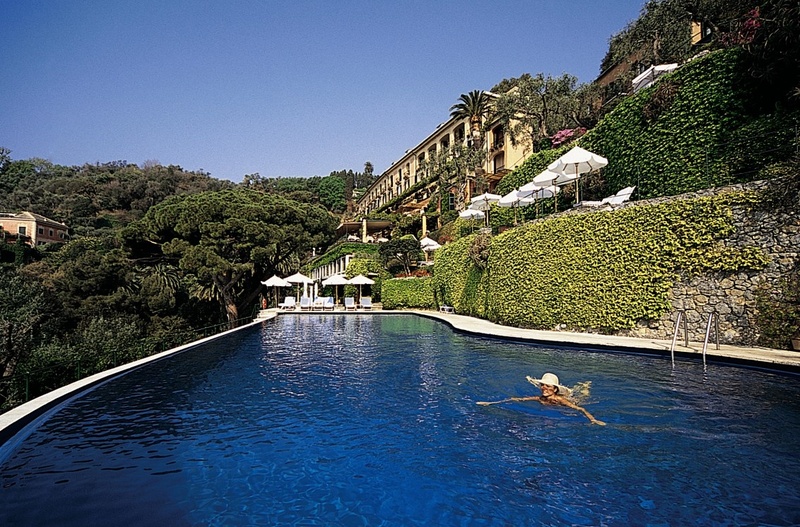 Set overlooking the picture-perfect Italian Riviera, with its luxury yachts bobbing in the crystal blue waters, Belmond Hotel Splendido is conveniently located next to Italy’s Portofino Harbor. 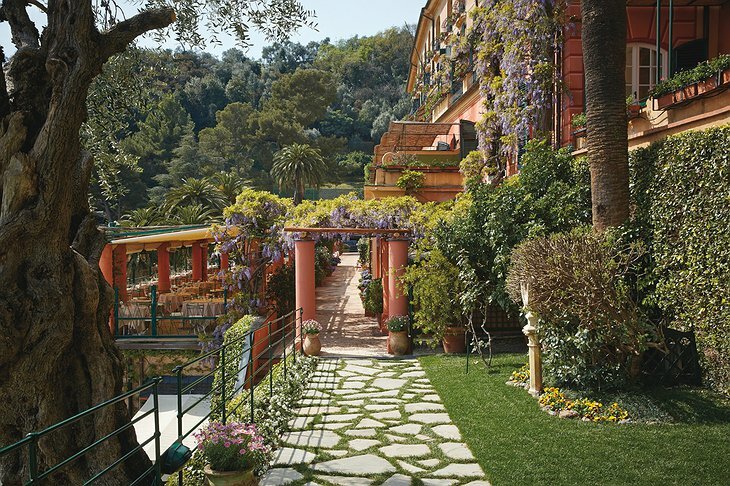 Made up of 67 rooms and suites, the Belmond, which was once a 16th-century monastery, rests on a steep, rugged hill overlooking the water. 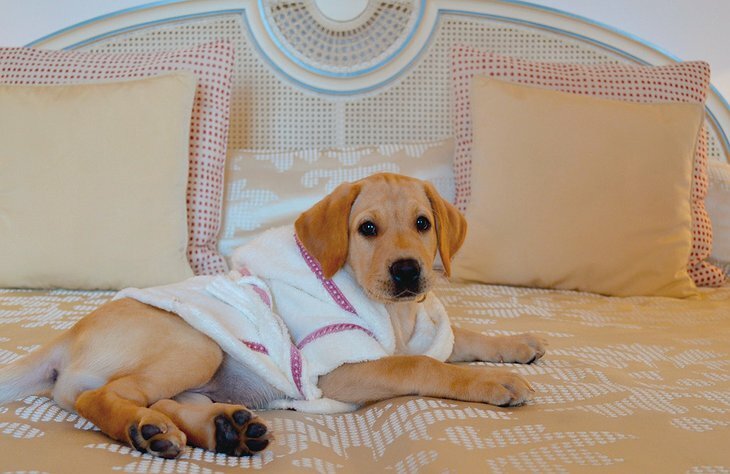 Past guests have included the likes of Winston Churchill, Clark Gable, and Marlon Brando. 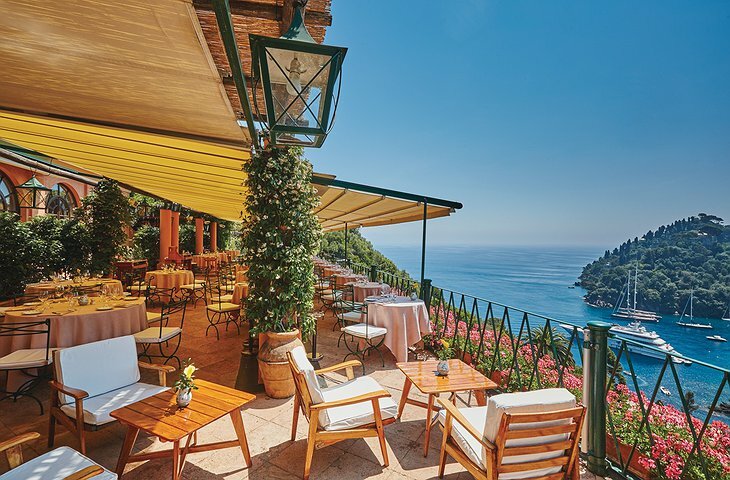 Most rooms come with terracotta-tiled terraces where guests can enjoy an authentic Italian coffee to start the day, while some rooms offer panoramic views of Portofino cove. 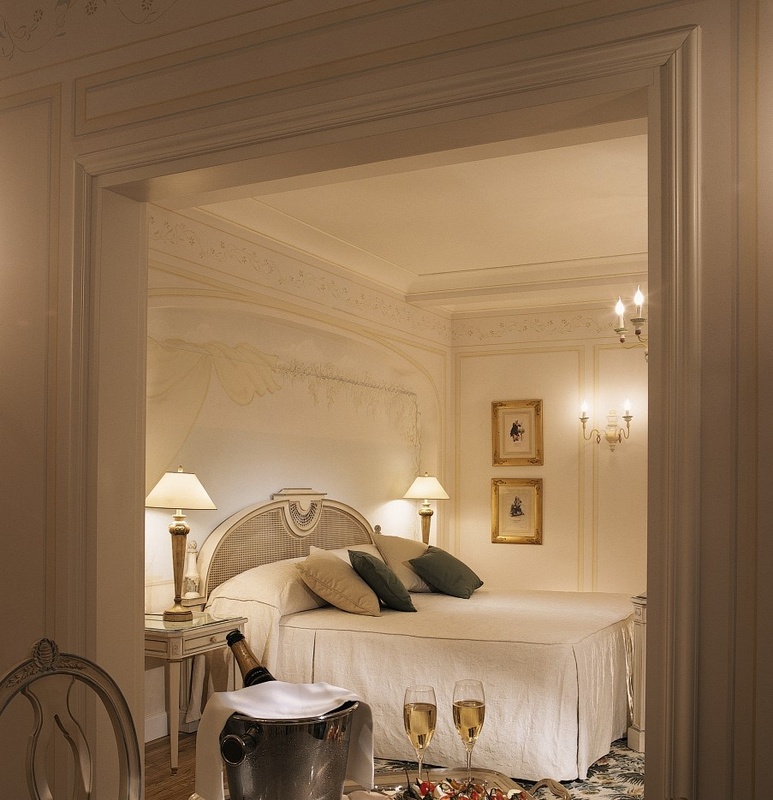 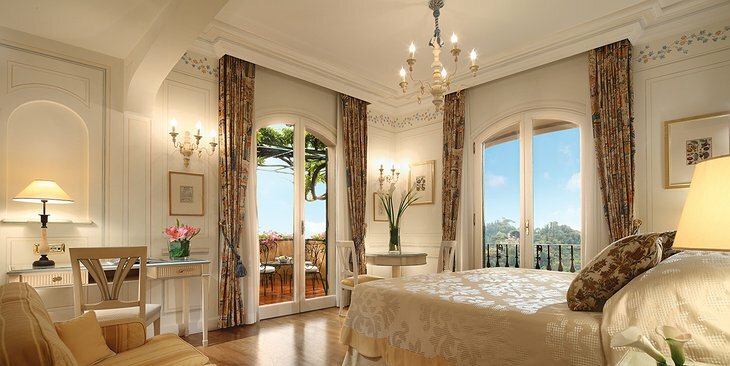 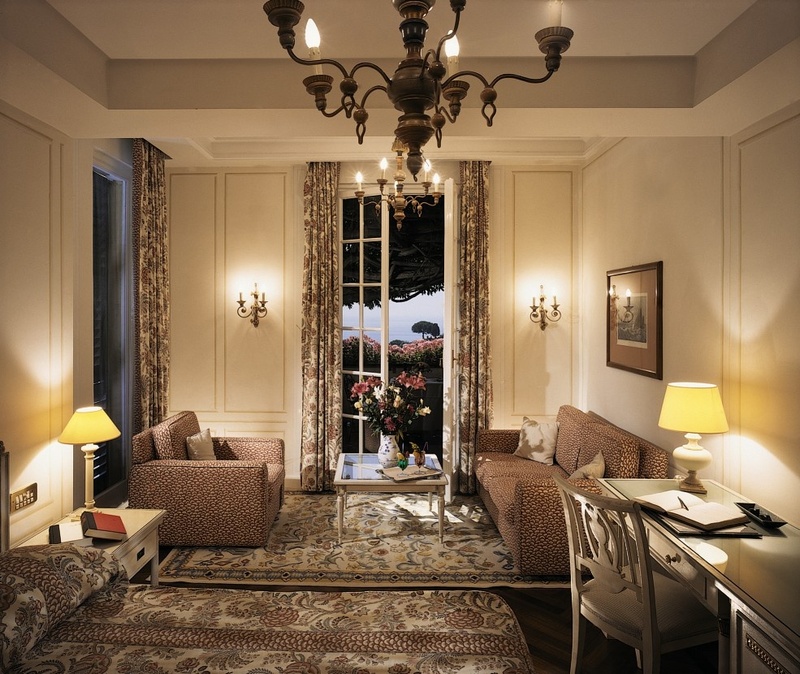 The Dolce Vita suite is a must for those looking for added luxury during their stay. Decorated in crisp white and sky blues, and peppered with seascape decorations, The Dolce Vita suite is slightly removed from the rest of the hotel, offering even more privacy and peace. 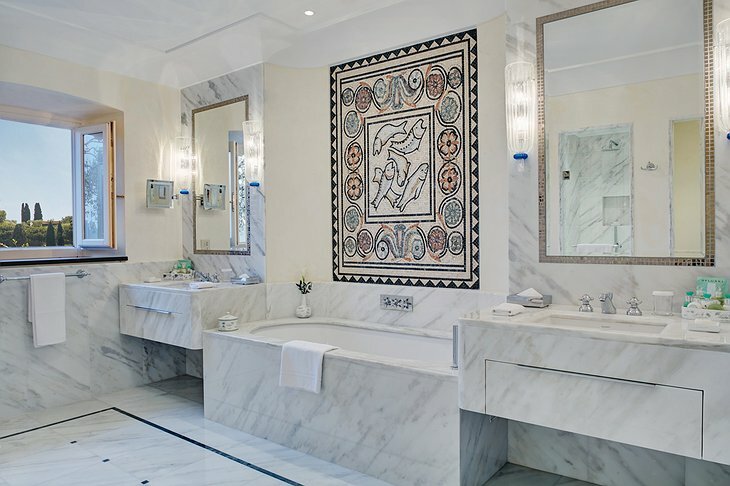 The marble bathroom includes his and her sinks and is accented with unique patterned mosaics. Standard rooms are decorated in golds and creams, while suites are more modern in design with splashes of blue or pink throughout. Head to the wellness center for a relaxing Indian head massage and treatments with rhassoul clay; and grab a bite to eat at La Terrazza, where local seafood specialties are made fresh for you every day. Try the truffle tagliatelle and seared sesame tuna! There's also a cocktail lounge, complete with a pianist, and pool-side restaurant. 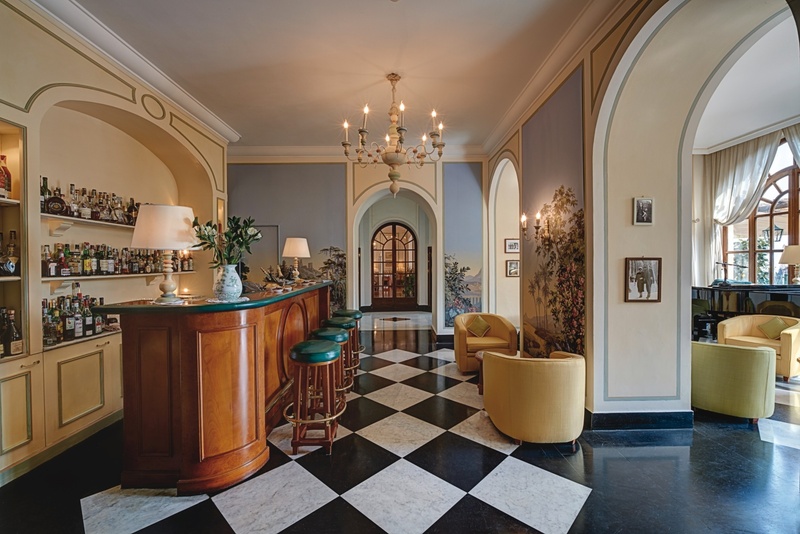 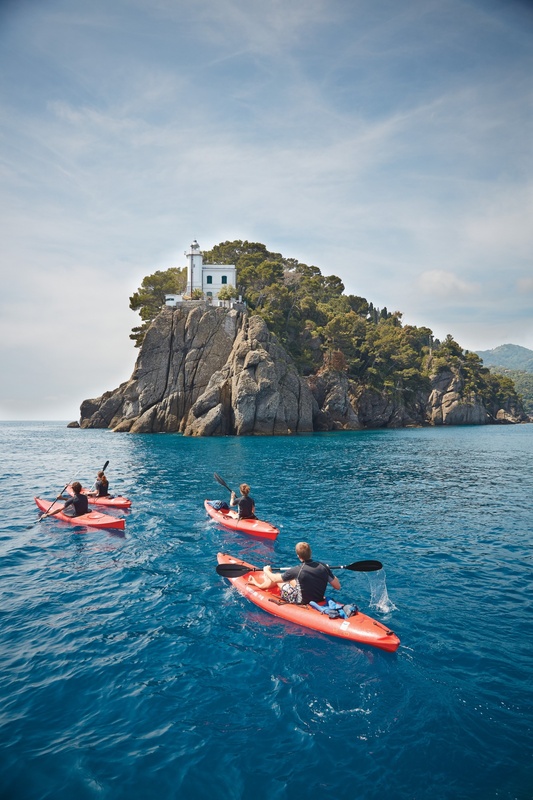 The hotel also offers a range of outside activities for guests including nature walks, boat tours and a chance to explore the hidden stores of Genoa. 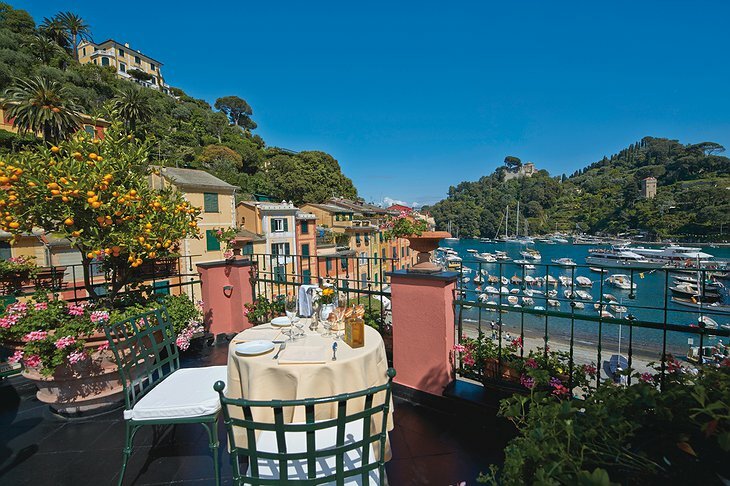 The Splendido is located at the top of a steep hill but don’t worry about the climb! 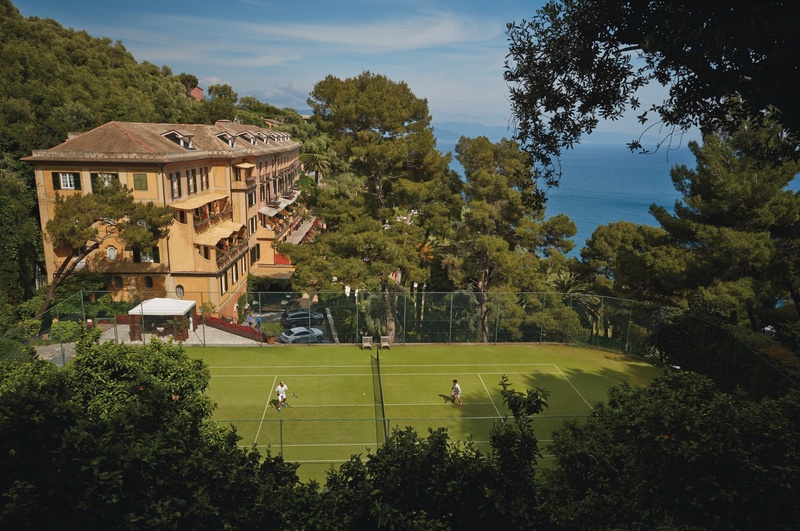 The hotel operates a free shuttle bus service for all guests.